Earlier today, scientists reportedly said that even though the massive space rock is expected to make a relatively “close approach” to Earth in space terms, its trajectory means that the probability of a major collision is minimal. A huge asteroid believed to measure about 280 feet (85 metres) in diameter — somewhere near the size of London's Big Ben — is due to fly past Earth at a speed of 30,422 miles (48,959 kilometres) per hour later on Tuesday. Dubbed 2013 MD8, the asteroid is expected to whizz past Earth from more than three million miles away (4.8 million kilometres), or about 13 times the distance between Earth and the moon, at 5.55pm (GMT), or 20.55 Moscow time. Scientists at NASA's Jet Propulsion Laboratory, for their part, assured that the asteroid, which falls under the category established by NASA of near-earth-objects, poses no hazard to Earth. “NASA knows of no asteroid or comet currently on a collision course with Earth, so the probability of a major collision is quite small”, they noted. The scientists predicted that no large space object is likely to hit Earth “any time in the next several hundred years”. 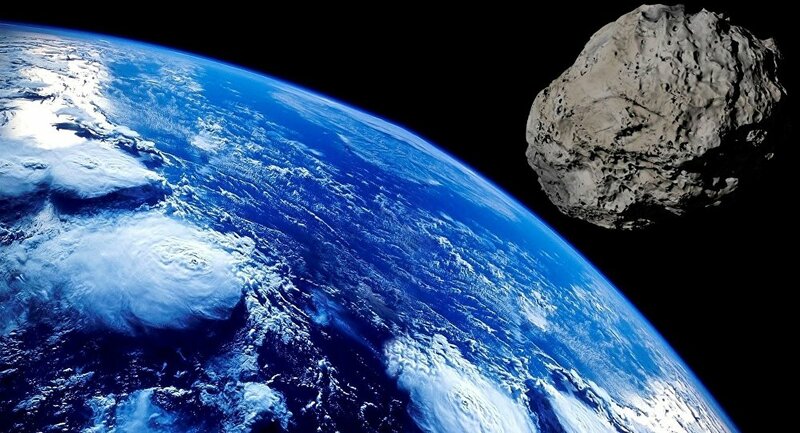 NASA deems an asteroid to be “hazardous” if it approaches within 4,600,000 miles (7.4 million kilometres) of our planet.